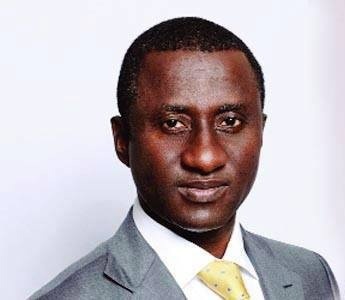 The absence of the Abia Chief Judge, Justice Theresa Uzoukwu, has stalled the expected inauguration of Dr. Uche Ogah as the new governor of the state. The Independent National Electoral Commission (INEC) had earlier on Thursday, issued Ogah a Certificate of Return, thus withdrawing the one that earlier by Gov. Okezie Ikpeazu and paved the way for the swearing in of Ogah. The action by INEC was in obedience to an Abuja Federal High Court judgment ordering Ikpeazu to immediately vacate office. In his ruling, Justice Okon Abang made a consequential order that Ikpeazu should vacate his office‎ as Abia Governor based on the discovery Ikpeazu did not pay his tax for the years 2011, 2012 and 2013, as at when due when he was a public officer. However, the inauguration could not take place because it was learnt that the state chief judge, who was supposed to have performed the function, was no where to be found. Meanwhile, Ikpeazu has obtained an ex parte injunction issued by Justice C. H. Ahuchaogu of the state High Court, Osisioma, restraining the chief judge from swearing in Ogah. Ikpeazu, had in a statement he signed, insisted that he remains the governor of the state, appealing to the people of the state to remain calm. Based on this, Ikpeazu has declared Friday and Monday next week as public holidays in honour of the former Secretary of the Board of Trustees of the Peoples Democratic Party, Chief Ojo Maduekwe, a prominent Abia son, who died in Abuja on Wednesday. The News Agency of Nigeria (NAN) reports that Ogah, who arrived at Umuahia from Abuja at about 5.45 p.m, headed straight to the office of the State Director of Security Service (DSS) in Umuahia, where he held a closed-door marathon meeting with the State Director, Mr Korede Kamoju. The meeting lasted until about 8.10 p.m.
Ogah left the DSS in a long motorcade but could not be reached by the jpurnalists, who had waited throughout the period of the meeting for his comments on the unfolding political development in the state. An Umuahia-based legal practictioner and political analyst told NAN on condition of anonymity that Ikpeazu ceased to be the governor with the issuance of the Certificate of Return to Ogah by INEC. He said that a chief judge from one of the neighbpuring states in the South-East could be engaged to swear in Ogah, citing the case of Gov. Nyesom Wike of Rivers as an instance. Observers believe that the declaration of Friday and Monday as public holiday was done to further stall the inauguration of the new governor.